Capita plc is the UK’s leading provider of business process management and integrated professional support service solutions, with 64,000 staff across the UK, Europe, South Africa and India. It has been serving both private and public sectors in the UK since the 1980s. The Workplace Services division provides a range of HR-related services, including recruitment and staff development, for a wide range of clients. It has around 3,000 staff, many of them working on client sites. Divisional revenues exceed £650m. Capita Workplace Services’ IT support team looks after all 4,000 members of the division’s staff, as well as some client employees. Back in 2012 the team was sharing a system with another part of the business for historical reasons. However, this system was imposing some limitations in an IT Service Management (ITSM) context, the biggest of which were difficulties in configuring functionality and in obtaining visibility of essential information such as call status. The Workplace Services IT support team therefore decided to look for an ITSM tool that would overcome these limitations of configurability and visibility – one that the team could choose and control itself to enable it to work as effectively as possible. The team wanted its new tool to support best practice as embodied in the IT Infrastructure Library (ITIL). Other requirements included scalability to accommodate future growth, improved efficiency and service through the use of a self-service portal, and better management information to help with monitoring and improving performance. With advice from independent consultants, the business reviewed about a dozen ITSM products. Out of several shortlisted suppliers that met the main requirements, Hornbill was selected, primarily on the basis of usability and some commercial considerations. The business opted for myservicedesk. com, Hornbill’s cloud-based ITSM solution, powered by its Supportworks software. Now 90 analysts across the service desk, desktop and infrastructure areas use Supportworks, signing in from various locations and together dealing with approximately 1,000 calls each week. End-users can also sign on to a self-service portal to log their own calls, and are increasingly doing so. 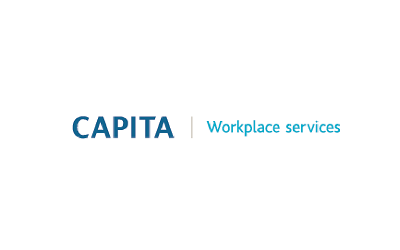 Since implementing myservicedesk.com, Capita Workplace Services’ IT support team has been rapidly realising its vision of ever more efficient customer service with better visibility and flexibility. It has complete control of the solution and can configure it to meet the needs of management, team members and the customers they support. The Hornbill solution came with ITIL best practice processes built in. As well as reducing the amount of time service desk staff spend on processing calls, a major advantage of the selfservice portal is that it prompts users to enter all relevant information. This means an analyst can usually work on the call without needing to go back and ask for further information, as would often be necessary in response to an email. The call is instantly routed to the right specialist without having to be categorised by the service desk team. Users can monitor progress on their call without needing to contact the support desk. The net result is that users get a better service and technical staff have more time to concentrate on solving issues. The team will therefore be able to deal with an increasing workload without a proportionate increase in resources. Soon after go-live, 10% of calls were being logged through the portal. This has increased to 25% over the last 12 months as users have become aware of the benefits. Forms for collecting details of a specific type of issue are easy to set up. There were 10 forms at go-live and this figure soon doubled. Forms are created in close consultation with endusers to ensure a close fit for their needs, and to promote acceptability. Thanks to the choice of a SaaS solution, management operation and upgrading of the system is taken care of by Hornbill so that the in-house team can concentrate on supporting users and solving problems. A separate test environment is available for the team to use, avoiding the overhead of conventional test environments. have to be demanding, which means that the ITSM solution must be highly reliable and available. The service desk team is confident that it will be able to accommodate future needs with myservicedesk.com. There are plans for integration with systems in other parts of the organisation, for example. Additional business processes will be handled by the system, too: for instance, a process will be created for gathering requirements for larger projects, such as an office move, which are handled by a separate team. This will entail the definition of a new portal form and underlying business process within the existing system. This will bring efficiency for the team and enable their work to be included in management reports. - Advanced usability features make the solution “a pleasure to use”. - The solution was easily configured to meet the team’s initial needs and is flexible enough to accommodate future ones, e.g. support for additional processes or interfaces to external systems. - A self-service portal captures comprehensive information for each call type and routes calls to the right authority, improving experience and efficiency. - Software as a Service implementation means there is no need to worry about management, operation or upgrades and guarantees scalability.